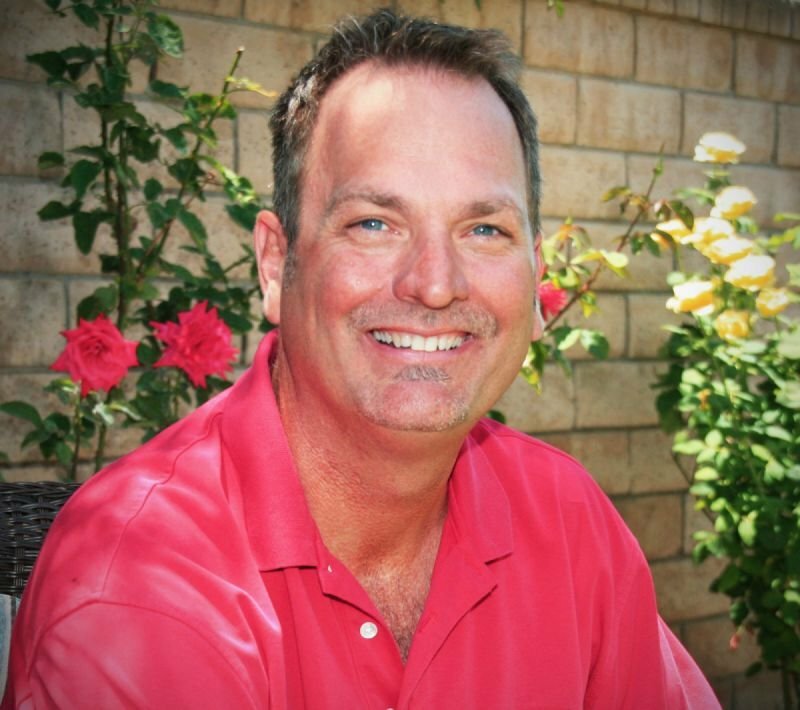 "Creating Balanced and Happy Homes For Dogs and Their People"
My name is Scott Beckman "The K9-Coach" Dog Trainer in Santa Clarita, California. For nearly 15 years now I have been helping people professional train their dogs both with and without behavioral issues in Santa Clarita . I teach my clients in their own homes, where dogs AND people learn best. My training method utilizes pack leadership techniques through Canine Communication. I Teach this to my clients and I can teach you too. "No Treats or clickers, No Physical punishment , No Alpha Rolling...Ever..... I'll teach you how." Or Contact me to set up your free consultation now. Professional DOG TRAINER FOR SANTA CLARITA AND SURROUNDING AREAS. There are 3 kinds of trainers in this world. Treat/Clicker trainers, otherwise known as "The Bribers", Physical -punishment Trainers" I call some of them the Power Trainers, using pain inducing techniques to intimidate dogs into submission"...Then there's me. The K9-Coach. I Train my clients to speak dog with tones and body language, plus a couple of things that bring it all together. After that, it's easy. See reviews. The Professional Dog Training methods I use to teach my clients are natural and are the same ones dogs use with each other. Voice tones and Body language are the main keys. Not hitting your dog or bribing with treats and or clickers. My method is easy to learn! Canine pack structure is normal in every dog pack. Including yours! Where do you stand? Are you in charge? If not don't worry it's not your fault, just a understanding. I do not use treats to bribe your dog or clickers to reward her either. Treats can work wonders for some dogs and some basic obedience training but In the long run treat training is impractical in my opinion. How do you expect your dog to respect and love you if you are just feeding him cookies all the time. I provide Private in home dog training classes only, I focus my attention on my client and their dogs issues one at a time in your own home. I come to you. Teaching your dog to sit won’t tell him or her that you are a good pack leader. You might see some compliance but is that all you want? Do you realize that your dogs bad behaviors are most likely attributed to a lack of pack structure in a canine way? Most likely your dog is doing his best to " Run the Show" but honestly does not want the job. I encourage you to see for yourself. Check out my reviews on Yelp or Google. I've helped many people over the years with all sorts of issues with their dogs. Little problems and big problems alike. It does not matter, I can help you. You can also see some of my Testimonials here as well. To find out how I can help you and your family contact me and lets set up a FREE assessment. You have nothing to lose except another pair of shoes! Email is the best way to contact me as we will probably play the phone tag game. Take My Dog Behavior Test, See How Your Pooch Rates! Private In-Home Training Classes for: Jumping up, pulling on the leash, barking, mouthing, nipping, potty training, chewing, boundary control, aggressiveness and more. 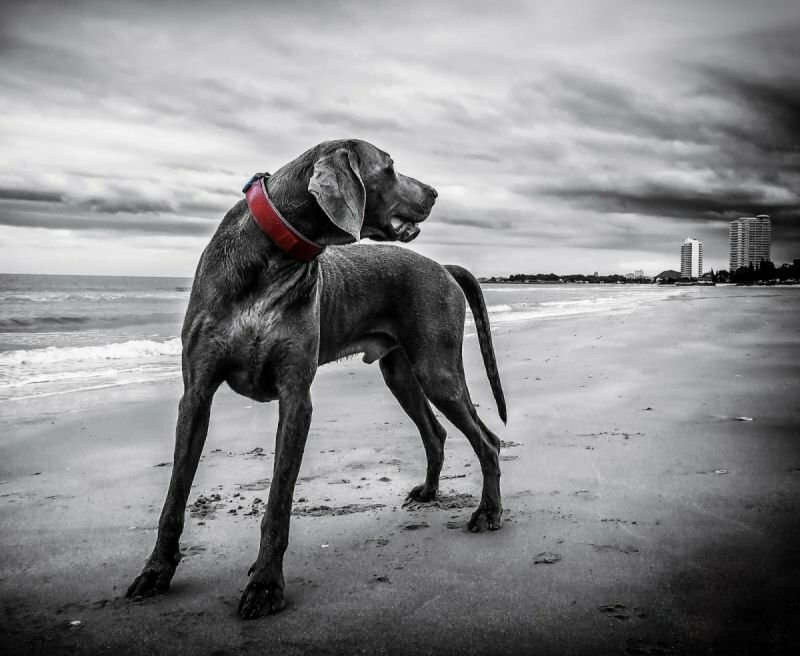 Are you looking to take your dog to the beach, hiking or dog park with the confidence of Off Leash Control? Yes! Your dog can do that too! Full obedience training in Your Home for dogs of all ages and breeds; sit, down, stay, loose leash walking, focus, distance control and recall training. The puppy training classes take place in your home and include housebreaking and potty training, over all obedience, walking to heel, sit / stay. How much Does In-Home Dog Training Cost? A Short Quiz That Will Give You More Insight To Your Dog. Is it Time To Hire a Professional Dog Trainer? "If I can't help you, I won't charge a dime." It's not a cheap sales pitch, it's a fact. I base my reputation on helping people with their dogs. I pride myself on solving the issues people are having with their dog or puppy everyday. If I can't help you, I won't charge a dime. I also offer Lifetime Training Support for my clients. This means I am available for you and your dog at any stage of your dogs life for with full support and training visits when needed for your dogs lifetime. "I Train people. Well behaved dogs are the result. Once you learn a more pack leadership mindset you will see the change yourself." Never harsh, the techniques are simple and effective and no, I DO NOT use TREATS, Alpha-Rolls or any physical punishment. That's right.....No treats! After all, the leader of a pack does not need to treat a pack member with a “cookie” to get him to behave, right? No harsh moves like “alpha rolling.” Like I said before, this is not a harsh dog training system. I’ll leave alpha rolling for the TV dog trainers. A balanced system that works almost immediately because your dog already knows pack law . . . and I will teach it to you. I use positive methods to create positive results. I educate and guide dogs in a manner they understand using canine communication — body language and vocal tones. Significant experience working with dogs of all ages, eight weeks - 16+ years. Significant experience solving serious problems such as aggression, separation anxiety and sibling rivalry. Significant experience solving issues like jumping, barking, pulling on the leash, counter surfing, digging, mouthing/nipping and toilet training. It would be my pleasure to help you and your dogs too! I also offer FREE in Home Training Assessments in the Santa Clarita area. Before we start working together, I will need to come to your home and meet you and your dog. Then I can assess the issues in your home and the dynamic of the pack structure. From there I can then recommend a couple of training packages that would suit your needs best. Contact me now to set up your FREE Assessment. Contact me for your free consultation now. DUE TO MANY TELEMARKETING CALLS A DAY, I ASK THAT YOU USE THE CONTACT FROM HERE AS MOST CALLS NOW ARE SUSPECT- IF YOU MUST CALL- PLEASE LEAVE A MESSAGE! Thank You for understanding. Tue-Saturday 10:00 am to 5:00 pm Closed Sunday-Monday DOG TRAINER FOR SANTA CLARITA AND SURROUNDING AREAS. AREAS SERVICED Serving all of the Santa Clarita Valley including: Valencia, Stevenson Ranch, Saugus, Newhall, Canyon Country, Castaic, Northpark "Creating Balanced and Happy Homes For Dogs and Their People." We moved to the Santa Clarita Valley in 1986, and I have had dogs all my life. I have owned a several different businesses in our community since 1991. After years of studying different types of dog training styles and honing them to get a more balanced and easy to learn system, I thought it might be an excellent opportunity to do something I love and at the same time help bring harmony into the homes of my clients. I have been training dogs in Santa Clarita for nearly 15 years now and at the time of this writing; I have helped over 2,500 Santa Clarita families’ enjoy their dogs once again and I am proud of that. I have lived in Saugus, Valencia, Canyon Country, Castaic and Stevenson Ranch. My wife and I reside here in Canyon Country and we call Santa Clarita our home. I adopted my daughters dog at the end of May. I have never trained a dog and I knew I had my work cut-out for me. I researched the internet I spoke with my daughter and after the reviews I decided to ask Scott for his assistance. I got the life time program and I am glad I did. Scott has been very resourceful with potty training, walks. Aggression and more importantly for me to learn to be the Alpha. It is a slow process but I love Jacoby so much. Scott has allowed us to get to know each other. To teach me to be a good parent and to reach Jacoby to be a happy dog. It is a work in progress but Scott is patient and always has a solution to problems. Jacoby has made such a great improvement and it is thanks to the training of Scott for both of us. Funny thing I am the one the required the most training and even though life is very stressful Scott is making a huge difference in our life's with his patience and guidance. Thank you Scott for always making prompt appointments to continue training and giving me the tools to be a good mommy to Jacoby. One visit from Scott and we can barely get the dog to do the bad behavior again to do his daily training homework! I can't recommend him enough!! His method is kind and firm and delivers immediate results. Scott is a wonderful trainer and he definitely knows what he's doing! When our then 4 month old husky/pitbull puppy would "play" with us it felt like she was attacking us. She was very aggressive and bit us everywhere really hard. We couldn't make her stop and that was our biggest concern. In our first session, Scott addressed a bunch of our problem areas including the "play biting", jumping, keeping boundaries in the house and at the front door, and running away with items in her mouth that she's not supposed to have. After this ONE session we saw significant improvements right away! It was amazing to witness. Our girl listens so much better now and is well-behaved. She was a nightmare before we started training with Scott. We recently started training her to walk on her leash. Within the first minute of this session we saw her actually walking instead of sprinting and having us be dragged by her. It was miracle! Scott has helped us understand why our puppy behaved the way she did and has taught us how to respond in a way she understands. We're so thankful for Scott's amazing help! Scott, "The K9 Coach" made our lives so much more peaceful. He is easy to understand, patient and reliable. The best part is, the results are immediate. I recommend Scott to everyone with a Dog. The results are AMAZING to say the least. We appreciate you making us better owners and pack leaders. THANKS SCOTT!!!! Scott is truly an amazing trainer. He came to our home, and in less than a month, our dog Bailey did a complete, 100% turnaround. He started listening to us and walking on a leash, rather than pulling us, and now has the ability to get along with our new puppy. At times, we just can't believe the changes that have occurred since we hired Scott. He is truly a K9 Coach. We will continue to highly recommend him to anyone we know that may be in need of an excellent dog trainer. Would you recommend Scott? "Absolutely 100%! Our dog is so much more pleasurable to be around and she sleeps better too! Nothing but Happy Tails!!" Scott's Method is not only a great way to train a dog, but a great way to help the owner understand how a dog thinks. The training works quickly but consistency is a must. I would(and have) recommend Scott and His K9 Coaching to anyone who thinks they have a "problem" dog. I would recommend Scott " The K9 Coach because: a) it works, and b) it is humane! 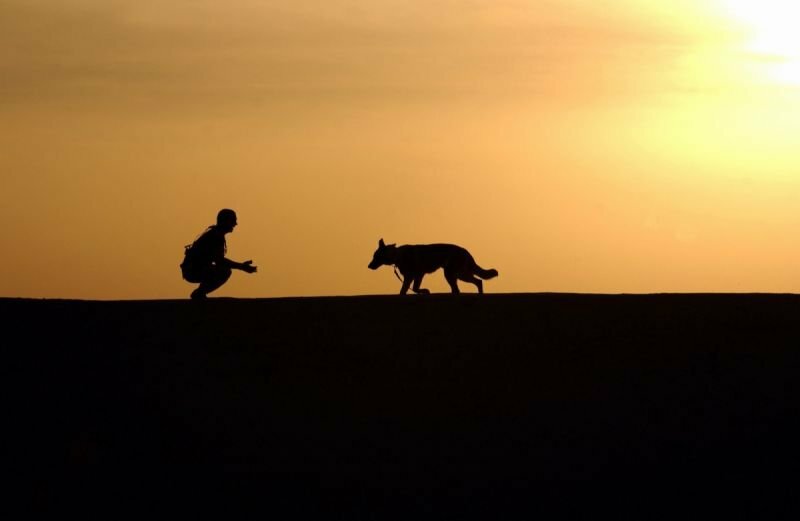 The dog training is easy to do and establishes a better relationship with our dog. My 100-lb dog is strong willed, stubborn and hard to handle. When I called Scott Beckman, I was desperate for help. Grizzly needed leash training and socialization. After Scott explained how the pack works, it was easy to see I needed help with my pack leader skills. Though it took a bit longer than most, Grizzly and I are now on our own, and I couldn't be more grateful to Scott. I can take my dog out on the leash and not fight him to get him back in the house. I've learned how to minimize his tendency to pull and we've actually made some new friends at the park. Grizzly loves other dogs, yet for 2 1/2 years I thought he would tear them up. I learned a lot from Scott, and it's good to know he is a phone call away should I need him. This dog is so strong willed even Scott was challenged on how to get him in the house when he plopped himself on the ground. It took less than 1/2 hour to teach Grizzly that I was the boss and when it's time to come in, he is to come in. I am getting exercise 2-3 times a day and Grizzly is able to expend lots of energy. Thank you, Scott! Scott was extremely helpful and knowledgeable! I would highly recommend this service for anyone looking to build a good relationship with their dog. With just one training session we have seen massive improvement in our dog's behaviors. We were on the path towards getting rid of my beloved dog because we were unable to control his behavior and destruction. With just our first training session we can already see that there will be no need to place our dog with a different family. Instead, Scott taught us how to understand our dog and communicate our expectations in a way that the dog understands. I can't wait to see how well behaved he will be after his homework and his next session! Scott is very professional and pleasant to work with. Our "Oliver" responded very quickly. I am excited to see his progress i just one day. looking forward to working with Scott and Oliver ! I am so so happy I took the first step and called Scott. I look forward to a much happier home and puppy! Even before my free evaluation, I was already drawn to hiring Scott to help us with training our 8 month old German Shepherd. Scott's approach is drastically different than any other trainer I've seen. What impressed us most about Scott was his knowledge and willingness to stand behind his methodology. At the beginning of the evaluation, Scott told us how our dog would respond by the end of our first lesson and it HAPPENED exactly the way he said it would! Our dog wasn't socialized very well before we got him and was always barking at our house guests, charging at the door, etc. By the end of our first lesson, he completely obeys the boundaries we set and has been calm with people around the house. I would absolutely recommend Scott to anyone looking for an excellent trainer. He is worth every penny! Looking forward to our next lesson to see even more results! Thanks again Scott! I am a believer!!!!!! After only two sessions with Scott our new puppy and our 3 year old veteran dog are walking on leashes, staying off the couch, and giving us plenty of room to answer the door instead of charging at it! Since our training session started, I love my dogs even more than I thought I could. Our house is calm and the dogs listen. It's not embarrassing to have people come over anymore! And walks are a pleasant treat for all! I would hands down recommend Scott to anyone!! He is so good at what he does and it is time and money well spent. We do our homework daily and it has extreme payoff! Thanks Scott for helping us be the pack leader! We called Scott to help with my mother-in-law's extremely high-energy, pit bull mix, Yoda. Yoda had no idea how to act around people--jumping on them, grabbing onto their legs to get their attention, and even surprising them by leaping into their laps. It got to the point that I couldn't even be in the same room as Yoda when I visited! From the second Scott walked in the door, I knew he was magic. Yoda didn't treat him the way he did other people. Scott explained to us that it all had to do with the way we responded to Yoda and he could teach us how to do it without treats and without hurting him. I had read other people's reviews, so I had high expectations--and they were exceeded! After only one session, Yoda doesn't jump on me, he doesn't charge the door when someone rings, and he is overall calmer. I cannot recommend Scott enough! Not only is he a MIRACLE WORKER, he was friendly and a great teacher. I can't wait for our next session! I called Scott because we adopted an older dog that had some bad behavior. I started looking at some of the standard training courses but it appeared it was more "sit/stay" than anything. It turns out that Otis' behavior is not as bad as I thought based on my discussion and initial training. He is adapting quickly and now I know what actions I have to do in order for Otis to know I am the pack leader. We didn't realize it is really our reaction / actions that aid in his bad behavior. We are very happy we called Scott and plan to use him again if we begin having any other issues. In short, Scott is a magician. We are working through some major anxiety issues with our 8mo collie/shepherd mix and Scott is walking us through her training amazingly. During each session with him, our jaws just drop because our dog's bad behavior goes from difficult to a non-issue as soon as he shows us how to handle it. He reads dogs so well and is incredibly patient with us as owners, taking the time to walk us through each step as much as we need, and explaining dog psychology in a way we would never know on our own. He always responds to emails within a couple days at the MOST and is extremely professional, friendly, and great to work with. From day one, we've had the feeling that he is just as invested in our dog's training as we are and this has remained consistent. On that note, owner investment is key. Scott's talented training will only work if the owners are 100% committed to following-through between sessions. On weeks where life has been hectic, we've seen the effect on her training and Scott helps us get back on track and is positive and encouraging. I would highly recommend his service. Scott was a Godsend for our little family. We called Scott when our 14 month old German Shepherd/Great Pyrenees mix's leash aggression was getting a little too out of hand. We saw a difference within our first visit with Scott and our dog's behavior has only improved greatly from there. We have followed Scott's guidelines, practiced his techniques, and have worked really hard on our own with our giant pup for the past 6 months. In the end, it has all paid off, as we have ourselves a new dog these days! Scott also helped us with a variety of other smaller issues such as house boundaries, coming when called, and basic walking skills. So thankful for Scott and his patience, both with us learning, and with our dog! He is so wise and helpful! I highly recommend Scott! I was desperate to find a trainer that would work on my two dogs with extreme behavioral issues rather than just train them to do basic commands. I have a French Bulldog and a German Shepherd that completely ran the house! My frenchie would chew on everything that he could think of, including my new sofa! My shepherd has anxiety issues and will jump on people as well as the back yard fence every chance he gets and would grab things off of counter tops and shelves! I was on the path of giving them up to a new family. Then I found Scott. When he came over and interacted with my boys, it was like I had brand new, well behaved dogs! We saw immediate results just in the first session! I couldn't believe it!! Scott's technique works. He is a pro at his work. Super nice guy! I wish I would have found him sooner instead of wasting money on other trainers that didn't even work. I highly recommend him! Just finished my first session with Scott and like everyone else I am blown away. I have two Labradors (5 months and 14 months) that needed some work. I rarely write reviews and actually downloaded the app just to praise Scott. My home is more calm then it has been for months. Scott is very professional and just an all around nice guy. If you have issues with your dogs and you think they can't be fixed I am here to tell you you're wrong. Call Scott now and witness the magic. After one session with Scott I saw a huge difference in my German Shepherd puppy! He was getting out of hand with charging the front door, nipping at people's hands, jumping on couches and barking uncontrollably. After one visit with Scott he is a completely different dog and so well behaved. He is aware of his boundaries now and isn't such a challenge to have in the house! I can't wait for the next session to see what else Scott has in store for my dog. I would recommend him to anyone! We have two female Pugs, who get a little too excited at times and get into fights with each other. We were walking on egg shells every day wondering what would set them off again. As a result of the fighting, we had far too many vet visits for stitches. In one visit, Scott showed us how to obtain control of both dogs. It was amazing to see how fast Scotts behavior control worked. All our dog friends, have also commented on the calm that's come over these to animals. Though we may not be over the hill yet, we've found some sense of normalcy in our home and how to control it. We have two male dogs that bark at every sound! Within 2 weeks, they are not barking at the door bell, jumping up on visitors, the aggression between eachother. The difference is amazing!! We've put up with bad behavior for 6 years and Scott has helped us diminish and almost eliminate in 2 weeks. He's a god send!! My dog would not stop barking. She'd bark when I woke up. She'd bark as I was trying to go to sleep. She'd bark when I leave, and when I got home. It was driving me nuts. Thanks to Scott the K9-Coach, she is much better behaved. If you are truly committed to raising your dog to be an excellent companion, changing your dog's habbits where she sees you as an authority, shows respect and learns obedience, Scott Beckman knows how to make it happen. He is truly amazing. He teaches you how to speak dog's language, turns training into a pleasurable experience. Scott teaches psychology, language, and communication that creates strong bond between you and the puppy and will support you the lifetime. In just one session Scott stopped our puppy from chewing on shoes and digging the whole in our backyard. It was simply amazing. Scott's results speak for themselves, and yes, without using any treats those habiits stop for good. We feel fortunate to have Scott guiding us. Scott completely changed our life after just one session. Our dog went from totally unruly and dominant to actually listening to us and submissive ( as submissive as he can possibly be). He also went from being impossible to walk on a leash to a total pleasure ( again, as much of a pleasure as he can possibly be). He is also one nice, cool guy to top it off. Thank you Scott. We really don't know what we would have done without you! I cannot believe how FAST Scott's techniques work! It is amazing! It has only been 4 days since Scott visited and my dog no longer barks at the door bell, does not hound us when we are eating, and has really calmed down overall. I highly recommend the techniques and especially Scott. He very clearly and patiently teaches the techniques and makes sure that you get it during the first session. The training packages are a bit expensive, but if you are having substantial problems with your dog, it's worth it! I know that I will enjoy my dog more since she is calmer and obeys. our dog never came to us when called, was horrible on the leash and barked at every leaf that flew by...Scott came into our life and gave us his intro..My wife and I laughed at him while he told us how he could help because everything we did with her for the last 2 years never worked..The cost was reasonable and I seriously laughed at him while I gave him the check because I thought it was way to good to be true!! On the bible within 10 minutes of his training she was already 65 percent better, and know after 3 visits she is almost a PERFECT dog..When walking on a leash she like a show dog now , her barking is now to a minimal(only when a stranger is near) and she comes when called no matter what shes doing!! Thanks Scott truly a miracle trainer..
Scott is awesome. After just one lesson my dogs are showing an insane amount of improvement. They were barking very loudly, particularly if we had anyone knocking at the door. They would rush up and jump and bark at our guests...pretty embarrassing. We finally decided that enough is enough and called Scott to come over and evaluate our pups. I am SO happy we did! I have worked with a handful of other trainers in the past and this experience was totally different. First of all, Scott is an awesome guy whose really easy to talk to and made the lesson tons of fun. He showed us exactly what to do and within about two practice runs, our 8 year old dogs got the message, stopped barking, and stayed away from the door! Not only that, my dogs actually listen and respect me now! It's really amazing!! Trust all of the yelp reviews and look no further if you are having problems with your dog. It's absolutely worth the price! Another happy customer. Quick changes in our dogs and I know more is to come. The improvement in our house hold will far exceed the cost of the training! We have had dogs always. A few were even trained for K9 work. But a few years ago we rescued a boxer. Her description said she need to be with a family who knew how to train dogs and needed a big brother boxer to show her the ways. Check and check. However this boxer was nothing like our male. She was very scared, intimated and over the next year we would come to find out how very dog aggressive she can be. I had a moment at the dog park that made me saying the training I know is not going to work for her. So we called Scott. He was very honest and said this could go two ways...we make some little changes or make great changes. He also said she was never going to be 'prom queen'. The first weeks for training I gained trust from her. She let me become alpha dog. Now she is starting to pay attention to me and follow my lead and becoming less aggressive to other dogs. We are well on our way to great changes. To all dog owners have to make the time to see these changes. Thank you Scott you teaching our family new ways to train a dog. We even got to enjoy coffee sitting outside with dogs walking only a few feet away! We contacted Scott when we had had enough of our one year old Labrador retriever jumping, taking US on walks and being overly aggressive with people and other dogs. Scott was quick to respond to our inquiry and we are so grateful he did! His knowledge in dogs and training is beyond words. The dog he was introduced to at our first private session was not the same dog he left us with, just one hour later! With Scott's notes and guidance, we continue to see great change in Tinkerbell. We finally have the dog we've always wanted and we are just two sessions in! Best investment ever! You won't be disappointed! If you are looking for a AMAZING trainer, Scott is the guy for you! Scott is very friendly, good listener to what you need/want from you're dog and very helpful when needing advice. Very knowledgeable about dogs and the types. Very professional. My hubby and I had tried PETCO first and although the trainer was very nice and knowledgeable about the species, their training methods are only good if you want your dog to do anything and everything for a treat! Our dog wasn't getting better. It seemed worse actually. Then we found Scott. After a very lucky incident, we obtained some extra cash and called him. Within the first meeting our dog was already the most docile he had been since we got him (Dec 2011 and was 3 months old). We were shocked. Today was our last meeting with Scott and its only been about 6 weeks since and our dog has been so tolerable and hasn't been up to his normal antics! There are very few times were he chews on something hes not supposed to but as soon as we give him "training" he stops right then and there and leaves it be. So happy that Scott was able to help and will continue to help us! Such an amazing trainer! Thank you Scott! You save our dog and our sanity! Just had my first training session. My dogs are crazy barkers and jumpers. Scott is AMAZING..really! After the first session I could walk outside without them barking, and when someone knocked on the door..no barking. SO happy I found him! SO easy to work with..and so intune with dogs...what a pleasure! The dog training was very clear and made perfect sense, it was like magic!!! Immediate response to all the dog training we did, I have already recommend Scott The K9-Coach to some of my family. Professional In home dog training for Stevenson Ranch, Valencia, Castaic and surrounding areas of Santa Clarita, California. K9-Coach Can help you with your dogs Jumping, leash pulling, boundary control, door rushing, potty training aggression, and any dog training issues you need help with. For nearly 15 years now I have been helping people professional train their dogs both with and without behavioral issues in Valencia, Stevenson Ranch, Castaic and the whole Santa Clarita Area . I teach my clients in their own homes, where dogs AND people learn best. My training method utilizes pack leadership techniques through Canine Communication. I Teach this to my clients and I can teach you too. "No Treats or clickers, No Physical punishment , No Alpha Rolling...Ever..... I&apos;ll teach you how." Or Contact me to set up your free consultation In Valencia, Stevenson Ranch and Castaic now. 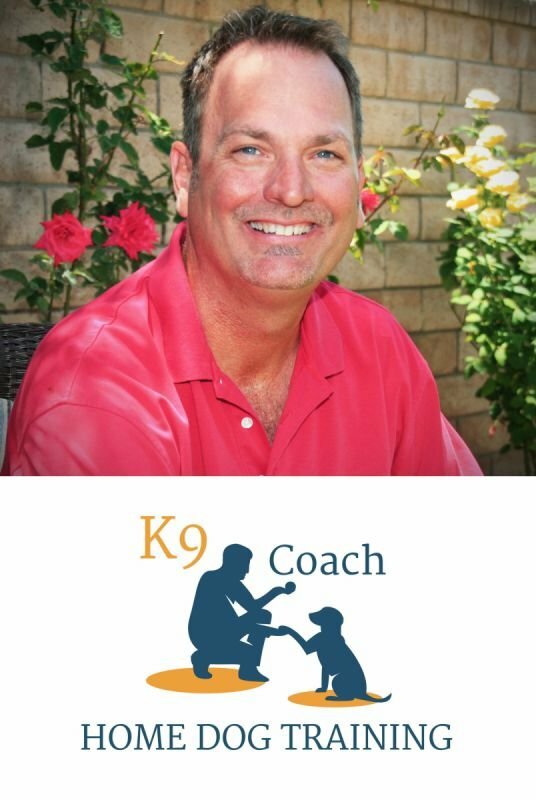 My name is Scott Beckman "The K9-Coach" Dog Trainer in Stevenson Ranch, Ca. For nearly 15 years now I have been helping people professional train their dogs both with and without behavioral issues in Stevenson Ranch and the whole Santa Clarita Area . I teach my clients in their own homes, where dogs AND people learn best. My training method utilizes pack leadership techniques through Canine Communication. I Teach this to my clients and I can teach you too! Or Contact me to set up your free consultation In Stevenson Ranch now. Santa Clarita Dog training Behavioral Test. Is Your Dog K9-Coach-able?